Combine West Maui, Hana, and Haleakala on this 65-minute helicopter tour. See all of Maui with its unforgettable hidden valleys, rugged coastline, prehistoric-like jungle vegetation, and spectacular vistas. West Maui is home to one of the wettest places on earth. Long streaming waterfalls and vibrant green valleys are trademarks of this incredible volcanic wonderland. Weather permitting, highlights include the "Wall of Tears" with over 17 waterfalls flowing at once; Maui's tallest waterfall, Honokohau Falls, with over 1,100-foot drop. View the resorts of Kaanapali and Kapalua. Take in Old Lahaina Town with its quaint historic whaling harbor. Fly by Launiupoko, Olowalu and Ukumehame valleys. Soar above central Maui's sugarcane and pineapple fields. Climb above central Maui and ascend the world's largest dormant volcano, Haleakala ("House of the Sun") and discover its immense martian craters with pure iron-oxide cinder cones towering over 10,00 feet tall. See Kaupo and Ko'olau Gaps, the huge lava flows from the crater to the sea. Hana's nearly uninhabited "backside" is home of the "Seven Sacred Pools", the taro field of Ke'anae, and Lindberg's grave. The Hana Rainforest extends for over 180 square miles along Maui's northern coast and is the largest tropical rainforest in our nation. 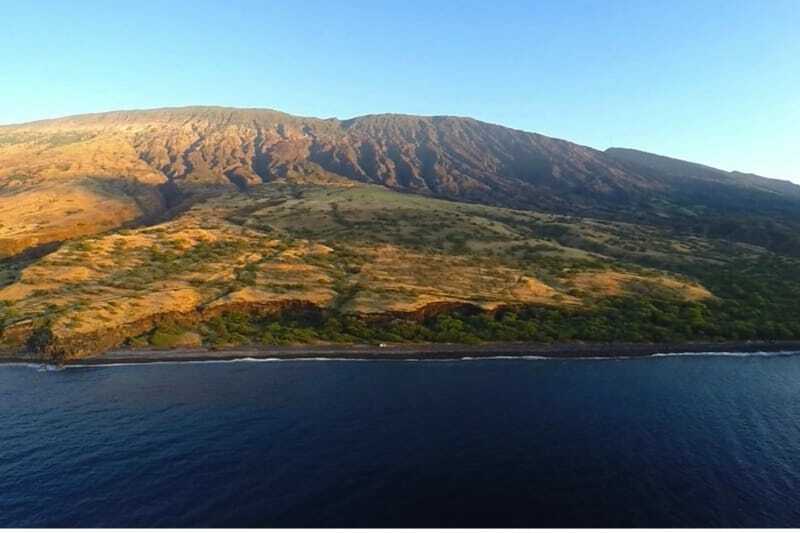 Tour includes views of Old Hana Town, Haleakala National Park, Kipahulu, the taro field of Ke'anae, fabulous coastline waterfalls and the world famous Ho'okipa windsurfing beach on the return. Whale watching in season. Ground briefing, personally narrated tour, complimentary coffee, choreographed pilot's music through stereo headsets with volume control. A pilot-narrated video of your actual flight is available for purchase. First Class Seating: Passengers enjoy 'First Class' seating next to pilot, with extra arm and leg room. Maximum combined weight for two passengers on FX STAR First Class is 400 lbs., and Whisper STAR First Class is 490 lbs. A 72-hour cancellation or change of tour notice is required for all helicopter tours. If for any reason you decide to cancel or change your reservation, you must notify us 72-hours prior to the tour date. Sorry, cancellations or changes made within 72-hour of the tour are not refundable and will be charged in full. All flights are weather permitting. If for any reason a flight was cancelled due to the weather, your ticket will be fully refunded or you may choose to re-schedule your tour plans. Please note that flight route and destinations may be changed due to weather conditions. NO scuba diving within the 24 hours before your tour. Infants up to 23 months are considered lap children (no additional cost). Over 23 months and a seat will have to be purchased. The weight & balance of the helicopter is computer generated and insures proper seat assignment. This system is used to equally distribute the weight, ensuring the pilot a level and safe flying platform. Individual weight limit is 240 lbs - above this weight and an additional seat (comfort seat) will have to be purchased. For first class passengers, the weight limit is 200 lbs. For Whisper Quiet passengers, individual weight limit is 280 lbs and for first class passengers on this helicopter, the weight limit is 245 lbs. How many people can a helicopter hold? How is the seating done? Can I sit up front? Our fleet of Astar helicopters seat (accommodate) six passengers plus your pilot. The weight & balance of the helicopter is computer generated and insures proper seat assignment. This system is used to equally distribute the weight, ensuring the pilot a level and safe flying platform. Both fore/aft and lateral balance are considered along with overall total weight of the helicopter. There are two seats to the left of the pilot and four seats directly behind. Our helicopters are made for touring, so each seat provides an excellent view for all passengers. Special requests for certain seats will be granted if allowed by our weight and balance system. Safety is our #1 concern. Do you have a set schedule? What?s the best time to fly? No, we do not have a set schedule. Tours are established solely upon your request of tour area, day and time. We will fly any tour anytime at your request, weather permitting. We suggest you book (reserve) your flight in advance to ensure availability. All of our tours offer an excellent view, and any flight time whether morning or afternoon should be fantastic. Can we bring a camera? Best camera lens? Cameras are permitted on board and recommended. We have found through guest comments that a 35mm with ASA 400 or higher with a wide-angle lens works good. Our tours offer some of the most unique photo-taking opportunities anywhere on the planet. We have disposable cameras for sale in our logo shop. Your pilot will create a video of your actual flight utilizing our camera system which includes a cabin camera and nose camera (sold separately). Does the wind affect the helicopter? Helicopters unlike planes have no fixed wings. The main rotors act as a gyro and stabilize the helicopter in gusty conditions. If wind and gust are such that it will cause an uncomfortable flight, tours will be canceled. Your safety and comfort are our #1 concern. What is your policy with weather? We fly when it is safe and enjoyable; if the pilot feels that we will not provide a good quality tour, the tour will be cancelled. We will re-schedule based on availability or cancel if guest is unable to reschedule. What should I wear? Why do you recommend dark clothes? Will I be comfortable? Clothing should be comfortable and casual. Dark shirts or tops are recommended for photo taking. Bright colored clothing may put a reflective glare on the helicopter plexiglass windows and reflect in your photos. Dark clothing helps to eliminate the reflection. Our climate control system keeps our helicopters at a comfortable temperature for the entire flight. Do people get sick? Should I take Dramamine? 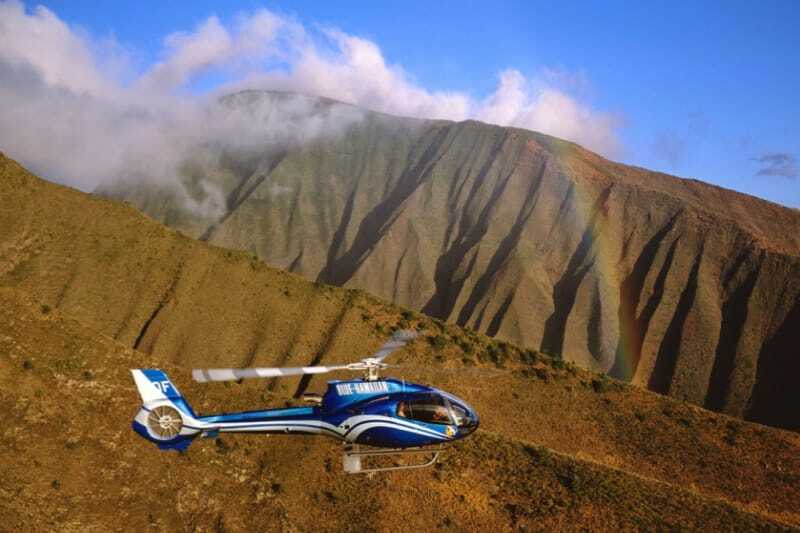 Founded in 1985, the company grew from one leased Bell 206B fourpassenger helicopter based at Kahului, Maui to present day ten owned helicopters including Astar 350 FX's and WhisperSTAR EC 130 B4's with operational bases at Kahului, Maui, Hapuna Heliport on the Big Island, Hawaii, Lihue and Princeville Airport on Kauai and Henderson Executive Airport in Las Vegas. Are there restrooms on the helicopter? No, helicopters are not equipped with restrooms. We do provide restroom facilities at each of our departure/landing sites. We are proud to provide our guests with some of the most experienced pilots in the islands. Each of our pilots receives extensive company and factory training. We are extremely proud to be certified by the Tour Operations Program of Safety (T.O.P.S.). T.O.P.S. is a national organization dedicated to safety as the number one priority with the mission of making helicopter sightseeing tours among the safest type of flying possible. T.O.P.S. goes beyond the requirements of the Federal Aviation Regulations with higher standards for management, pilot qualification and training, maintenance, ground support personnel and aircraft equipment. Annual independent safety audits are required with review by the organizations audit committee. T.O.P.S. associate members include helicopter manufacturers, aviation insurance brokers and underwriters and aviation safety consultants, all committed to raising the bar for flight seeing operations. We are a Federal Aviation Administration certified Part 135 Air Carrier. This certification requires a company to operate to a higher standard and within an FAA approved operations and training program. The company is closely monitored by the FAA to ensure compliance with the approved methods of operations and training. This assures the public of a higher standard of safety. Most aviation experts advise customers to fly only with approved FAA Air Carriers. Am I guaranteed to see everything in your tour description? Tour descriptions are based on what sites have been most requested in the area to be toured. Every attempt will be made by our pilots to cover each site described or requested by you, weather permitting. Pilots will adjust their flight path for wind and weather. We have many alternate sites to recommend. 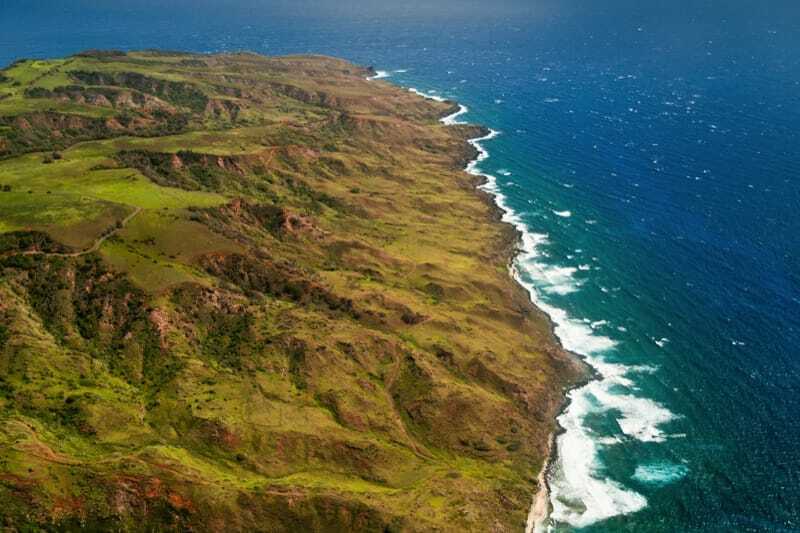 You will have the very best helicopter tour of Hawaii! Again, your safety and comfort are our #1 concern. Can we fly tours at night? FAA requires all tours must fly between Sunrise and Sunset; no tour may depart before sunrise and all tours must be on the ground before the sun sets. During a recent stay in Maui I decided to make the most of our stay by including a helicopter flight. I chose Molokai Deluxe as they flew the EC130, which is a nicer helicopter than a lot of the other companied have, and because you are able to reserve the front seats during booking. A lot of companies say you can select these at check in but I feel if you're spending the money to take the trip and want to sit in the front I would rather book the seats. The scenery if amazing, far to good for me to describe but Google images will surely help you if you need convincing. At this point Steve took a bit of a detour, due to some favourable wind, and added an extra trip to Lanai to see the shipwrecks on the beach, the wild deer and a few other sights. Over the sea back to Maui Through the middle of the West Maui Mountains - again stunning views. All in all the flight was amazing, and a must do for anyone visiting Maui. The views are spectacular and can probably only be seen from the air. We really enjoyed on our helicopter trip. We were 3 adults, 19 months baby and 7 years old. The baby was on lap but she did ok. Our pilot Coby was great and informed us a lot. He answered all the questions that my 7 years old daughter asked. You imagine how curious they are. We took Molokai tour. In this tour we also saw Maui. It was breathtaking to fly over Maui. In Molokai there are some falls must be seen. We did the hour tour of Maui and Molokai. From start to finish the staff was welcoming, professional, and relaxed. We were even 15 minutes late to check in and they never batted an eye. The pilot, Pete, was friendly and accommodating when we saw something in the ocean to investigate (crossing the channel between islands) and made sure everyone in the copter had a good look from their own window. Post-flight we spent 20 minutes in the lobby waiting on our flight video. While waiting the check-in lady gave us so many restaurant tips and the time flew by (pun intended). Thank you for an enjoyable morning! I've been a airline pilot for over 30 years and have been to many places in the world but Hawaii always stood out. I decided it was time to see maui from a totally new perspective. It's worth every penny! The day of our scheduled ride the weather wasn't the best in Kahului and they offered us an alternative tour of Molokai, a tour another day (not possible as we were on a cruise ship), or a refund. We talked to the other couple with us we decided to take the Molokai tour. It was a great decision. We departed and toured the west side of Maui first. The pilot was an excellent tour guide and I was quite impressed. We then flew over to Molokai and saw some of the most magnificent water falls. We were in creases, valleys, and he maneuvered the helicopter so we all got excellent views and photo's from our cameras. We headed back and along the way he spotted whales and saw these magnificent creatures as they played in the waters. Incredible photo's were taken. Then off to the mountains in West Maui as the weather began to clear. Again, an awesome ride though the valleys. Afterwars, we reviewed the video and not only did we get a great experience, he knew exactly how to capture the view (waterfalls included) with the GoPro mounted outside of WhisperStar. That was well worth every penny to have the video too. EXCELLENT, STAFF, EXCELLENT PILOT.... HIGHLY RECOMMENDED PS. I've been all over the world, taken all kinds of tours and know what good and what is Outstanding. This was OUTSTANDING! We booked the West Maui/ Molokai tour and Pete was our very friendly and helpful pilot explaining all you need to know during the trip. We took the option of paying extra for the front seats which guaranteed us great views. Weather was on our side so Pete was able to fly us into more valleys and pointed out turtles, manta rays and whales when crossing between Islands. Upgrade to the front of the helicopter! You'll be next to the pilot and get better views out the front. Up to 2 passengers. Upgrade to more comfortable seats in a quieter and slightly larger helicopter. Weight restriction for passengers increases to 280lbs. Each passenger that weighs over 240lbs needs to purchase a comfort seat. If you have selected the Whisper Quiet upgrade, this weight limit increases to 280lbs.